This is a major community service program of Shuswap Rotary. With the benefit of a Rotary Foundation matching grant of US$10,000 we were able to purchase 42 Brain Bikes for distribution to local schools. In addition, because some schools enthusiastically bought into the program they came up with funds to purchase an additional 17 bikes. These 59 bikes have started arriving. Rotarians have delivered assembled the ones that have arrived, and are waiting for the next shipment. They are put into the classrooms around the district, ready for students to use. With the Brain Bikes we previously placed in classrooms there will be a total of 72 Bikes benefiting the children in local schools. This is a community project we can all be proud of. Shown below are two 11" by 14" posters we will be posting near the Brain Bikes. A laminated Brain Bikes! poster with the cartoon boy will be placed in each classroom with a Bike (up to Grade 8), and the more detailed poster will be provided to each school with Brain Bikes as general information for teachers and parents, and in classrooms above Grade 8 which have larger Brain Bikes. Any exercise, but particularly cardio, stimulates the brain in a way that learning is easier and memory is improved. This applies no matter the age, but it is most beneficial to young learning children with developing brains. In technical terms, exercise produces the protein BDNF (brain-derived neurotrophic factor) which is referred to as Miracle-Gro for the brain, fertilizing brain cells to keep them functioning and growing and spurring the growth of new brain cells. Accordingly, any young student using a brain bike to increase the heart rate will be better able to learn and remember. Exercise is also beneficial to both students with ADHD and students who are under stress or depressed. The act of exercising brings into balance the chemicals in the brain that are out of balance (dopamine, serotonin). When students become aware themselves of the benefits they receive from exercise, they voluntarily seek exercise to achieve these benefits. So a stressed student will exercise to reduce stress, and an agitated, hyperactive student will exercise to reduce hyperactivity. This is known as Self Regulation. Once a student learns to self regulate he has learned a fundamental problem solving skill that will last the rest of the student's life. In addition, the student becomes comfortable with being physically active, which has life-long benefits of health and happiness. 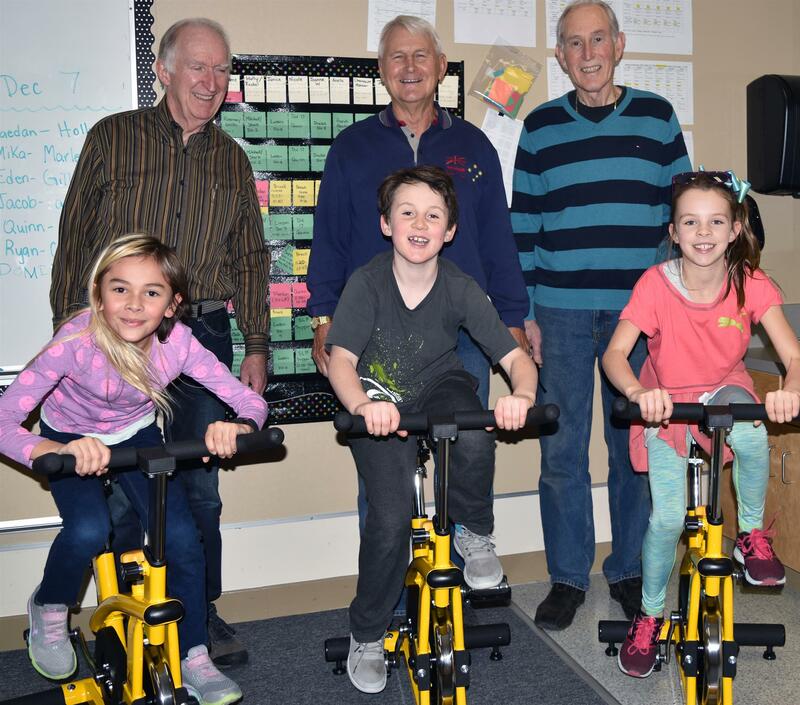 Each brain bike offers every child in the classroom the opportunity to learn and remember better, to reduce stress and agitation levels, to improve motivation, to learn to self regulate, and to prepare for a physically active life with all of its benefits.